Kitchen Challenge – Changing behaviour with food…..
Who is it for and what is the cost? The emphasis is and will always be on “challenge”. Feb 1st 2019 – Kitchen Challenge arrives in New Zealand for its first project – Cohort 8 in Auckland with Youth Horizons and PSN. December 2018 we are officially recognised as a Social Business and receive our certification. Our founder Rob Rees also joins AHPC at Vic University to advise and mentor Social Prescribing projects. 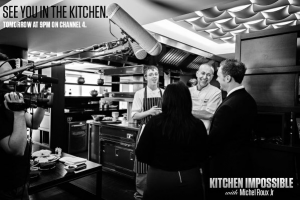 June 2018 evaluation tells us 96% of Kitchen Challenge Alumni leave equiped as better leaders. Feb 2018 – Kitchen Challenge WINS Australian LGPro Award for best project for diversity and inclusion with Brimbank City Council, Miele Australia, awesome care givers and Sunshine North Primary School. This award winning project changes lives for the better. It is recognised for its innovation, its integration of society and even showcased via Channel 4 UK and Two Four Productions globally. Kitchen Challenge was developed originally by the founder of The Wiggly Worm Charity in the UK – Rob Rees MBE – and is now available in Australia and New Zealand. Rob was awarded a Distinguished Talent Visa by the Australian Government and as an advocate for Social Prescribing he hopes to help scale up change accross the globe. We thank Gloucestershire County Council and Barnwood Trust who in 2009 as UK pathfinders embraced the vision of Rob and invested in Kitchen Challenge as a social prescribing (non medical) intervention. Here in Australia and New Zealand we thank Miele Australia, Bendigo Secondary College, Bendelta, Brimbank City Council and the AHPC team for supporting the same vision and leading the way with Kitchen Challenge in this amazing country during 2017 / 2018. Time now for others to follow. City of Greater Dandenong Council and Vic Health Youth project will be held during Winter and Spring 2018 as well as 2019 and Latrobe Valley. New Zealand cohorts planned for 2019 also. Our current call to action is? Well we want to see more people with difference in their lives in meaningful employment. We recommend a blended and immersive experience of corporate clients or those from public sector with those who face life more difficult than others. They take part as a collaboration on Kitchen Challenge – side by side with no them or us attitude . They learn together. They inspire and challenge each other together and they develop empathy and understanding of eachother. Copyright © 2019 Kitchen Challenge.